Find Better Ideas, Faster ® with a custom aviation trend report, our PRO Dashboard and 80+ categories of premium trend reports. 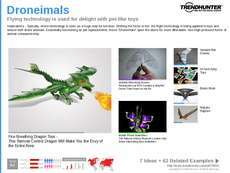 Companies in the aviation industry are constantly updating products to present the latest helicopters, jets, blimps and air balloons. Aeronautical engineering has made great improvements in the last few decades, so our research covers products from both air and space and includes the best innovative aircraft structures to spark consumer appeal. 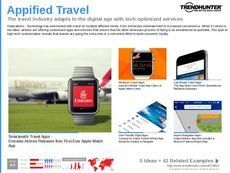 Traditional flights on planes are also challenged in the Aviation Trend Report, as many companies are learning how to integrate high-tech products with the in-flight experience. Large airlines as well as plane design companies can use the Aviation Trend Report to see what products are catching consumer attention. Those involved in marketing can also see any campaign promotions related to air and space items. Ads in the past have included everything from aviation club antics to extreme stunt acts. 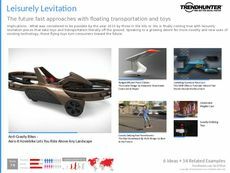 The Aviation Trend Report will keep users informed on anything related to flight, and help businesses develop products and campaigns around this research.